Belmond is a collection of iconic hotels, trains and river cruises worldwide. 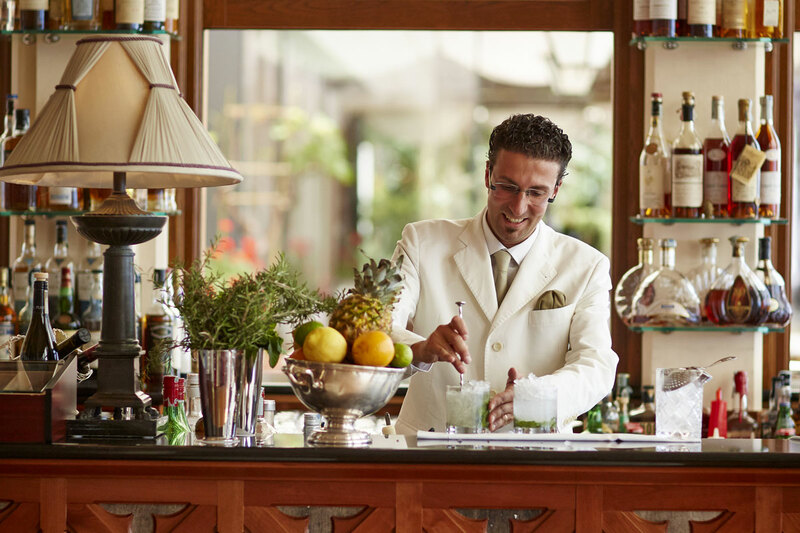 Masters of the art of hospitality, Belmond brings exceptional expertise to great journeys, celebratory occasions and business meetings of every kind. Luca Finardi. 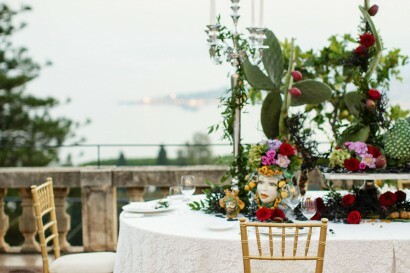 He previously worked as a General Manager at Villa San Michele in Florence, Italy. Full of energy and drive, he works closely with his team to achieve and encourage dedication and thoughtfulness, the key to excellent customer care. 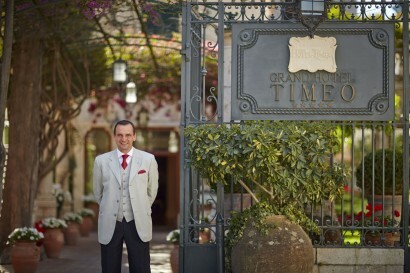 In 2013 the hotel celebrated 140 years of welcoming guests to Taormina. 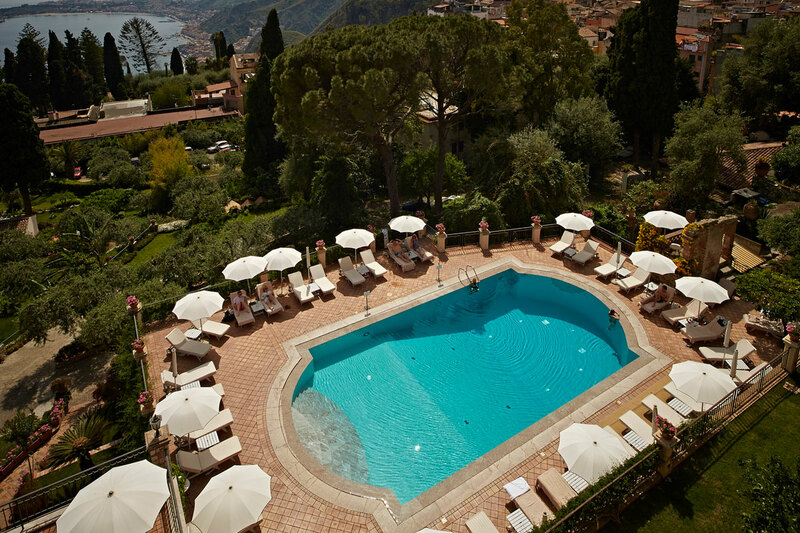 Grand Hotel Timeo has long been known as one of Italy’s most glamorous retreats. 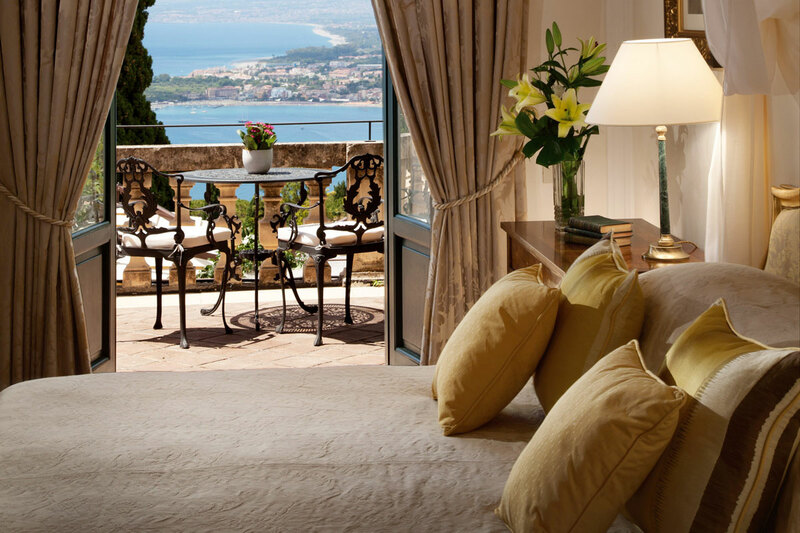 Its heritage and location are unparalleled: sitting next to the Greek Theatre and with sweeping views of the coastline and majestic Mount Etna stretching out beyond, the hotel offers the most charming experience in Taormina. Date renewal: Complete renovation in 2010. Adjacent to the Greek Theatre, the historical Grand Hotel Timeo was first built in 1873 and is surrounded by a 6-acre park. 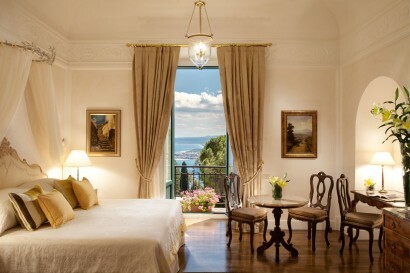 All 70 rooms and suites are stylishly decorated with Italian Baroque flair. Most have beautiful terraces or balconies. For added privacy, guests can choose to stay at Villa Flora, a delightful palatial property just 50 metres from the Timeo Building with elegant Sicilian style. The restaurant boasts an expansive terrace with panoramic views of Mount Etna. The swimming pool is the ideal spot to spend a lazy afternoon and enjoy snacks and drinks by the Pool Bar, a casual option in the shade of a cool pergola. 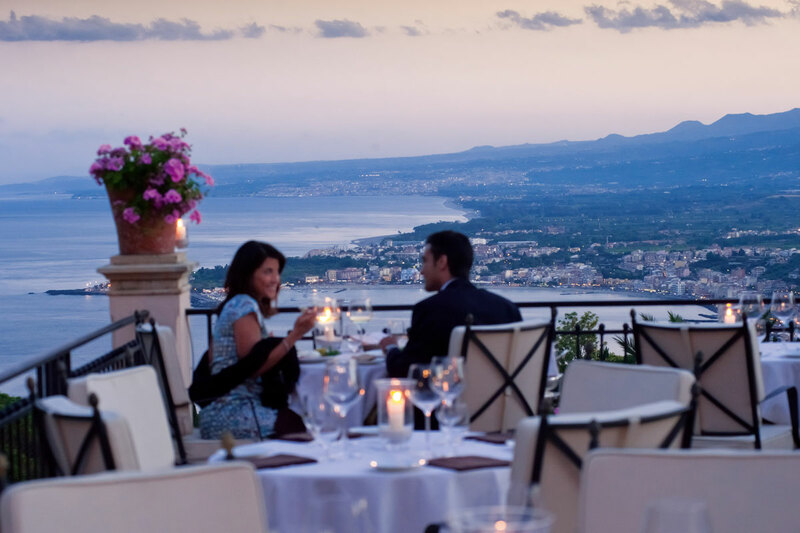 For a romantic sunset, an aperitivo is not to be missed on the Literary Terrace and Bar as its interior evokes the magical atmosphere of a 19th-century garden. Guests are invited to use the private beach belonging to sister property, Villa Sant’Andrea on the beautiful Bay of Mazzarò in Taormina Mare. Nestled among the cliffs of Mount Tauro on the eastern coast of Siciliy at the heart of Taormina. The hotel is just minutes away from the ancient ruins of the classical theatre and at a 50 minute drive from Catania Fontanaroassa International airport. The swimming pool is the ideal spot to spend a lazy afternoon and enjoy snacks and drinks by the Pool Bar, a casual option in the shade of a cool pergola. Experience precious moments of complete relaxation at the Wellness centre, where all-natural signature products capture the soothing scents of Sicily. Beside the swimming pool, in the shade of a cool pergola, the Pool Snack Bar is open daily for lunch. 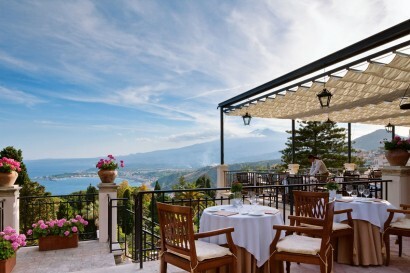 Enjoy light bites, brick-oven pizzas, a salad buffet and a selection of freshly-caught fish overlooking Mount Etna and the Mediterranean Sea. The Taormina Book Festival (Taobuk) is an international cultural event dedicated to literature and art, just as a place for excellence and cultural history and international vocation, which is the town of Taormina, staged every year from June to August. Grand Hotel Timeo was the first hotel to open in Taormina, and has hosted the elite of Hollywood and Europe including Audrey Hepburn and Sofia Loren. 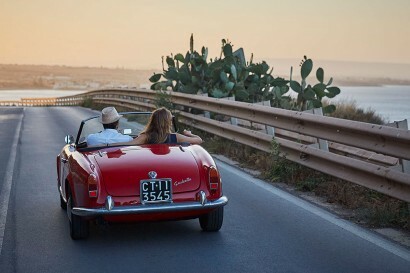 A complimentary boat-cruise, 2 hour long, is available for guests to discover the beauty of the Sicilian coast. 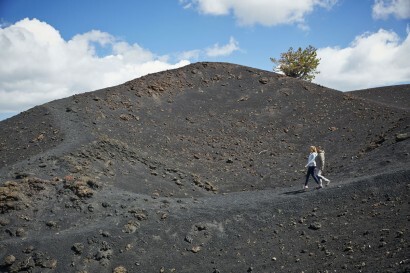 For the adventurous, no visit to Sicily is complete without a trip to Mount Etna, the largest volcano in Europe and one of the most beautiful in the world. All 70 rooms and suites are stylishly decorated with Italian Baroque flair. Most have beautiful terraces or balconies. 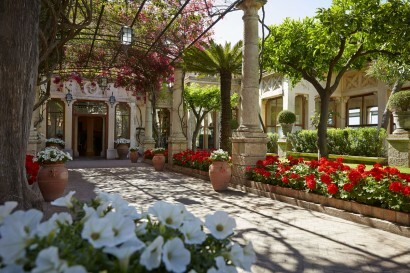 For added privacy, guests can choose to stay at Villa Flora, a delightful palatial property just 50 metres from the Timeo Building with elegant Sicilian style. The restaurant offers an incredible view between Mount Etna and Cape Taormina which is completed with a sensational Mediterranean and Sicilian cuisine. Admire the amazing landscape and enjoy the moment with a nicely prepared cocktail. • Escape the day-to-day routine and take time out to immerse yourself in the sybaritic pleasures that await you at our luxury spa. • The heated and panoramic swimming pool is surrounded by a beautiful terraced gardens where you can enjoy a drink and a snack from the poolside Bar. • The Grand Hotel Timeo fitness centre is fitted with new Technogym equipment and a variety of exercise machines. • Guests are invited to use the private beach belonging to sister property, Villa Sant’Andrea on the beautiful Bay of Mazzarò in Taormina Mare. Grand Hotel Timeo is a perfect location to organise a private party. The hotel is equipped with multi-functional rooms for meetings, gala dinners and cocktails receptions. For a completely custom-made event, companies or conference organisers can reserve the entire hotel for exclusive use. A team of wedding experts will tailor-make any wedding to the client’s specifications so that every little detail is exactly as they envisaged. Grand Hotel Timeo is also an idyllic setting for the perfect honeymoon. There is also an independent Conference Centre, perfect for business meetings with top facilities available.